Gaz and Guy have been at it for 3 years and no signs of slowing down. What is it about these two people that keep you coming back each week? Their charm? Their intelligence? Their ever so thoughtful insights into the world of Apple? Nah, must be the larfs. 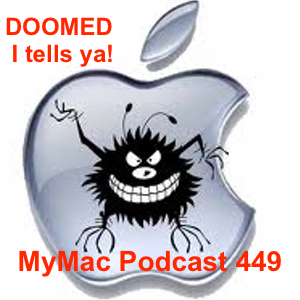 This week however, they have a discussion about the seriousness of keeping your Mac secure and what are some of the things to look out for. Guy’s App Pick: Vizzywig by i4software free!